Buckingham Palace is where the Queen lives. Buckingham Palace is the Queen's official and main royal London home. 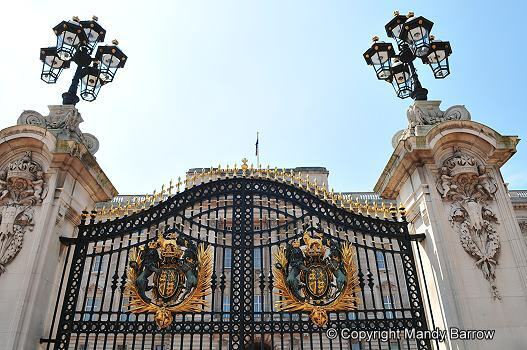 It has been the official London residence of Britain's monarchy since 1837. Queen Victoria was the first monarch to live there. Who lives in Buckingham Palace today? Buckingham Palace is not only the home of the Queen and Prince Philip but also the London residence of the Duke of York (Prince Andrew) and the Earl and Countess of Wessex (Prince Edward and his wife) and their daughter. 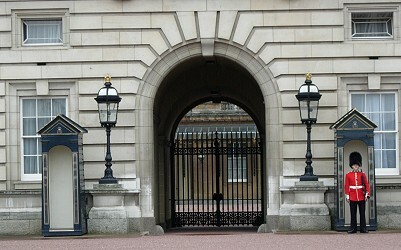 Buckingham Palace is used also for the administrative work for the monarchy. It is here in the state apartments that Her Majesty receives and entertains guests invited to the Palace. Buckingham Palace was originally a grand house built by the Dukes of Buckingham for his wife. 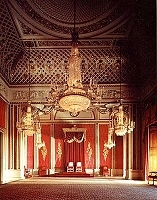 George IV began transforming it into a palace in 1826. The Queen has other homes too including Windsor Castle and Balmoral in Scotland. When can we see the flag on the pole? When the Queen is at home, you can see her royal flag flying from the flag pole on top of Buckingham Palace. This flag is called the Royal Standard. The flag is split into four quadrants. The first and fourth quadrants represent England and contain three gold lions walking (passant) on a red field; the second quadrant represents Scotland contains a red lion standing on the left hind foot (rampant) on a gold field; the third quadrant represents Ireland and contains the gold Coat of arms of Ireland on a blue field. In flag protocol, the Royal Standard is supreme. It must only be flown from buildings where the Queen is present. It flies above the British Union Flag (Union Jack), Standards of other Royal Family members, and other British flags. It never flies at half staff. Who guards the palace? What do they wear? Five regiments of Foot Guards guard the Palace. They wear red jackets and tall, furry hats called bearskins. When the first guards come on duty, there is a ceremony called the Changing of the Guard. A familiar sight at Buckingham Palace is the Changing of the Guard ceremony that takes place in the forecourt each morning. 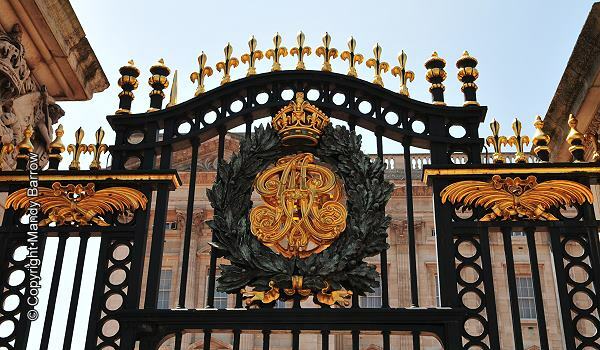 The monarch and the royal palaces have been guarded by the Household Troops since 1660. 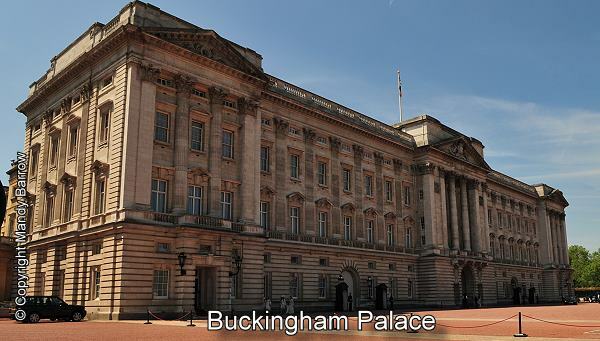 What can you see inside Buckinham Palace? The Palace has around 600 rooms, including 19 State rooms, 52 royal and guest bedrooms, 78 bathrooms, 92 offices, a cinema and a swimming pool. It also has its own post office and police station. About 400 people work at the Palace, including domestic servants, chefs, footmen, cleaners, plumbers, gardeners, chauffers, electricians, and two people who look after the 300 clocks. Buckingham Palace has 775 rooms including 19 state rooms, 52 royal and guest bedrooms, 188 staff bedrooms, 92 offices and 78 bathrooms. Queen Victoria was the first monarch to live at Buckingham Palace. From Buckingham Palace you can walk through Green Park to Horse Guards Parade where you will see the soldiers on horseback.